From orthodontic chairs to oral surgery chairs to examination chairs, these dental chairs are very important. They have to be comfortable for both the patient and the dentist. 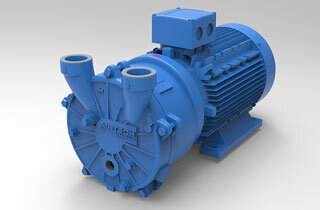 Prominent features such as the suction vacuum unit pump require a reliable vacuum pump system in place. If you are looking to get stellar vacuum solutions for the dental chair vacuum pumps industry, look no further than Airtech Vacuum Incorporated. Compressed air is needed by a variety of dental surgeries, clinics, and hospitals to power dental instruments and vacuum systems to remove detritus from operation sites. Dental compressed air from chairs is often supplied in addition to the medical gas pipework systems. They are also referred to as dental compressed air and vacuum systems or DAVS. Dental air is often supplied through compressor systems. The latter should be fitted with a reliable air-intake filter and post-compression dryer and filtration system. This is needed to keep the air dry and clean so that the risk of contamination by micro-organisms is significantly reduced. It is also proven that it helps improve the overall efficiency of dental chair and its attached instruments as well. Why Choose Airtech Vacuum Incorporated For Dental Chair Vacuum Pumps? Airtech Vacuum Incorporated is a reputable provider of stellar vacuum technologies for the dental chair vacuum pumps industry. Our company was established in 1982 and we have more than 30 years of experience in the field. 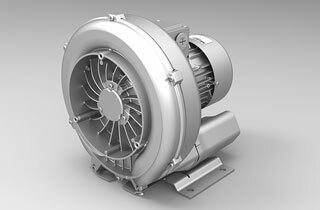 Whether you are looking to get regenerative blowers or liquid vacuum pumps, we have got you well covered. What’s more, our products are available at the most competitive rates. We strive to allow our valued customers to enjoy greater savings down the road. You can have peace of mind knowing that we are also UL-, CE-, RoHS-, and CSA-certified, and meet ISO9001-2008 requirements. At Airtech, we understand that every dental facility works differently and that’s why we do not just provide standard solutions. Our dedicated team is able to work with you to develop fully customized engineering solutions to meet your specific needs. If you can’t find a certain product from our ready to ship range, do not fret for our engineers will conduct a thorough analysis of your needs and offer the best match solutions. When you work with us, you can leave the planning and design tasks to us. Airtech can work as an extension of your team while you focus on core business matters. Do not hesitate to look through our inventory today for stellar quality dental chair vacuum pumps. If you have any product questions in mind, get in touch with our friendly customer service representatives!